Painting in Provence at the height of the Lavender season is an unforgettable experience for any artist, as evidenced by the works of the great French masters. The classified villages of Provence are kept as they were hundreds of years ago, retaining the charm, character and elegance of great historic periods. You will be inspired to new heights by the incredible architecture, beautiful lavender fields in full bloom, the culture and welcoming people of the area. You will find new friends among a supportive peer group with two highly qualified instructors. For specific dates and costs please visit our registration page. We paint these beautiful medieval, fortified villages from the outside as well as in the inside. There is a different approach to each village and we have years of experience with creating a well rounded balance of oil painting and drawing, so that we spend as much time as possible creating art and not exhausting ourselves hauling materials. There are too many villages to paint them all, but each year we paint our favorites: Simiane la Rotonde, your home base, Aurel, our village, Brantes, Viens, Montbrun les Bains. Then we add a few more choices: Cheyran, St. Trinit, Caseneuve, Rustrel. At the end of the workshop we have a "group choice day" returning to your favorite place for another round of painting, village or lavender field. 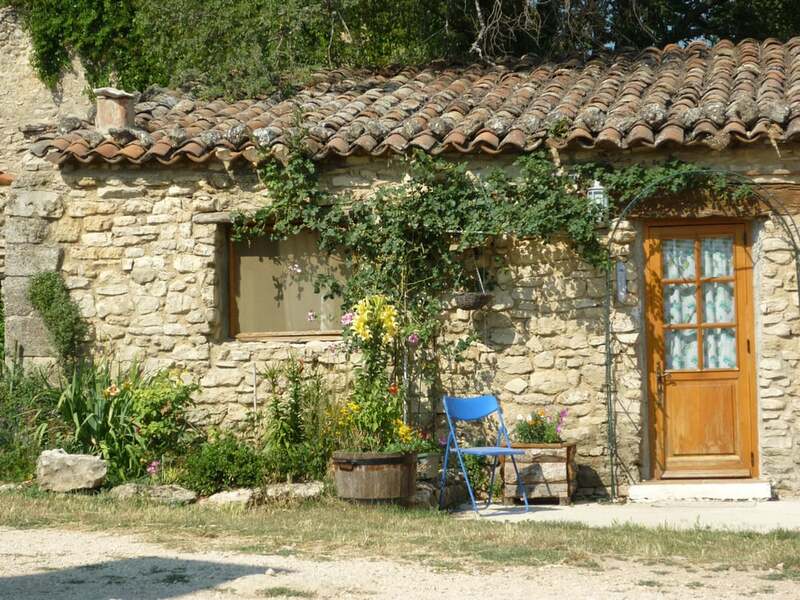 For the last 18 years Simiane la Rotonde has been " Your home away from home" for the participants in the workshop. We chose this village for its classical beauty, its calm, its historical position as an artistic, intellectual and administrative center since the Middle Age. It is also preserved away from wild tourism and it really feels like home when you can go out early in the morning and draw before breakfast if you are so inclined. Simiane is infinitely rich on subject matters and our workshop is well known there, so you always find a welcoming environment. 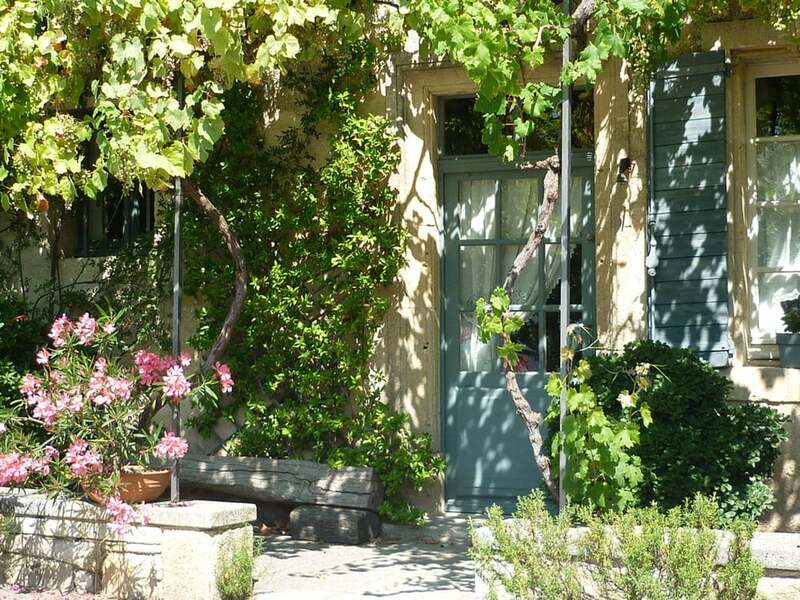 We have access to a beautiful, original Bed and Breakfast, "la Maison Dumaistre" which offers rooms with modern amenities and antique Provencal furnishing. All is done in excellent taste, respecting the local traditional style. Because this mansion is also partially a home, all rooms have different features and we make arrangements with you, one on one, to better serve your needs. The number of rooms is limited and there is options for single rooms and couples. We also recently rented a villa that suits couples better. It is a large comfortable home with access to a private swimming pool. It is located at the bottom of the village of Simiane la Rotonde. These rentals are in high demand in Summer, mostly because the traditional villages do not have a lot of options: no hotels, restricted construction etc... so if you wish to join us we need to talk with you as soon as possible so we confirm your room. Lavender workshops are always two weeks long, starting on the first Saturday of July. These dates have been chosen because they typically cover the time when the lavender is in maximum bloom, so we paint fields that look like profound velvet and breathe the soothing natural perfume of fresh lavender. It is heavenly! Every day of the workshop we will go paint and draw in a different village or field. There is quite a bit of variation in the days activities, so they are always exciting. Jim and I watch the fields very carefully before your arrival while we are in our home for a month ahead painting and preparing the workshop. We create a program designed to paint the best locations according to how the fields are blossoming. Every one will be given a detailed,day by day program of the two week stay. This workshop can take twelve people and we have a few rooms available for couples with different options. There is a discount for spouses who do not paint. Aurel, the village we call home, traces its history way back to the local caves from the neolithic period. Aurel was in the middle of the religious wars between Catholic and Protestants and suffered a great deal of destruction. Nonetheless, its strategic position commanding the passage between Sault and Montbrun les Bains and a refuge of the Knights Hospitallers put Aurel on the historic map. Today Aurel counts 190 inhabitants, a clear decline from its historic high of 792 inhabitants in 1831. This tiny village , called "the village of Painters" is best known today for the warm, magic light that has attracted generations of painters from local celebrities such as Rene Sayssaud, to Pierre Ambrogiani to contemporary painters such as Jean Claude Constantin, ourselves and other painters from abroad who have elected to live and paint in Aurel for its quiet, peaceful pace and the beauty of its light. Aurel is a classified village and its historical center, where our house is located, is protected by Unesco. This is a lovely video of our village. It is from the Autumn season, so the colors are quite different than Summer. Still we have a very good feel for this little village, 12th century church , sitting at 2500ft high surrounded by lavender fields. Our house is featured at 1m20 to 1m24. Brantes is a medieval, "perched" village that faces Mont Ventoux (famed by the Tour de France). The village has an astonishing feeling of height as it looks straight down on the Vallee du Toulourenc below. 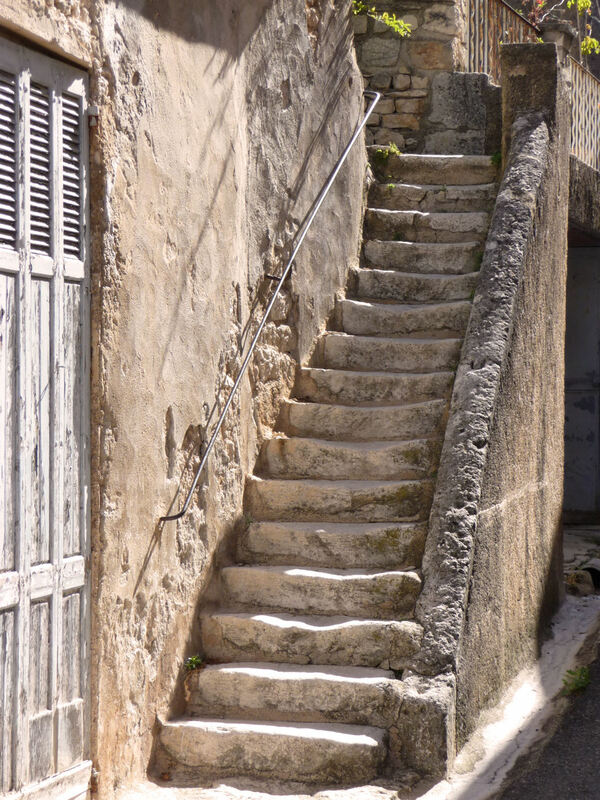 A network of lanes, arched passages and stone-built houses in the village, offers a sublime panorama on Ventoux. Brantes' church was built in 1684. Brantes gives us unique opportunities to draw unusual perspectives as well as the " Provence charm" of close up subjects. It is a watercolorists' paradise. A whimsical faiencerie is located in the center of this beautiful, tiny village. 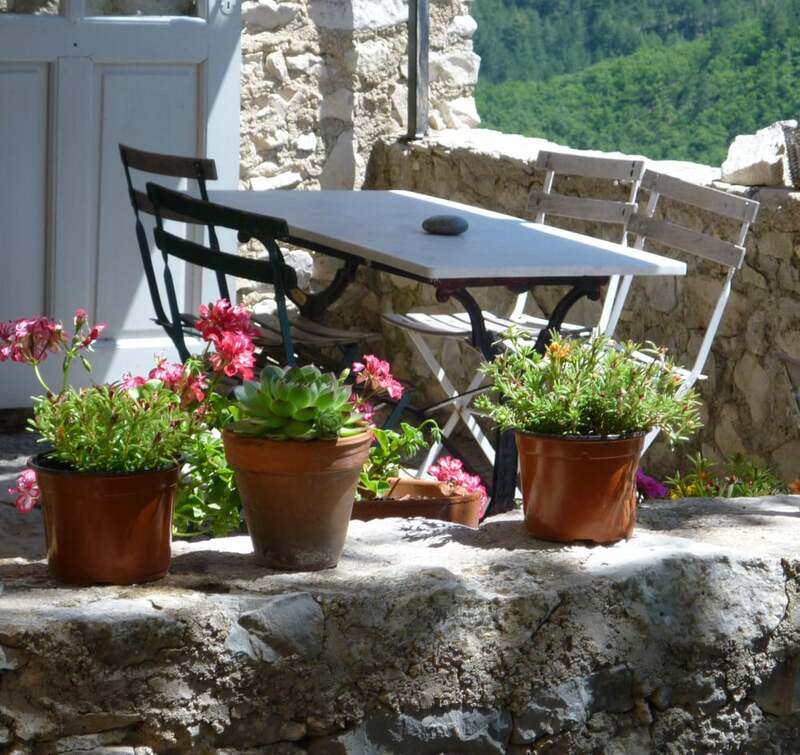 "La Poterne" an amazing, all fresh local produce, cafe-restaurant and art gallery gives us a spectacular view of Ventoux. We enjoy sitting among the cool blossoming oleanders in the heart of this paradise, drawing the valley below while having lunch and sipping delicious teas on the rustic veranda of the cafe. This is one of Brigitte favorite spots in Provence. MONTBRUN les BAINS, located 2000 feet high between the Lure and Ventoux mountains, is classified as one of the most beautiful villages in France. 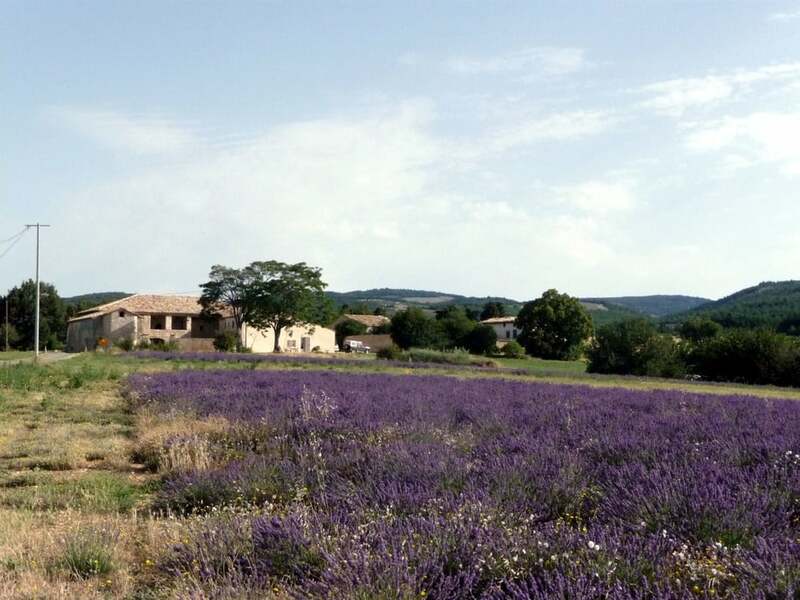 Drenched in the Provence sunlight, the high plateaus around MONTBRUN les BAINS are filled with aromatic lavender fields. The peaceful landscape of MONTBRUN offers to visitors all the magic of “Haute Provence” made famous by authors and artists through the centuries. The MONTBRUN area is one of the oldest inhabited area in the region. The ancient Gauls left their mark in the region of MONTBRUN and the Romans left many ruins from their empire days. Like modern visitors, they favored the baths and even created "Balenology" - the use of the naturally occurring mineral waters as a cure. The healing waters are still used today, giving the name "MONTBRUN les BAINS." From the 12th century to the French Revolution, MONTBRUN belonged to a succession of the “AJOUT”, “MEVOUILLON”, “BRANTES”, “DUPUY” and the “SADE” families. These families wrote their histories in the villages, the mountains and in the valleys of Provence. Their legacy is now the ruins of their chateaux but their names still grace the hilltop villages. Viens is a fortified village hidden in the mountains of Alpes de Haute Provence. From a distance, Viens disappears into the rocks, as it has since the 12th century. 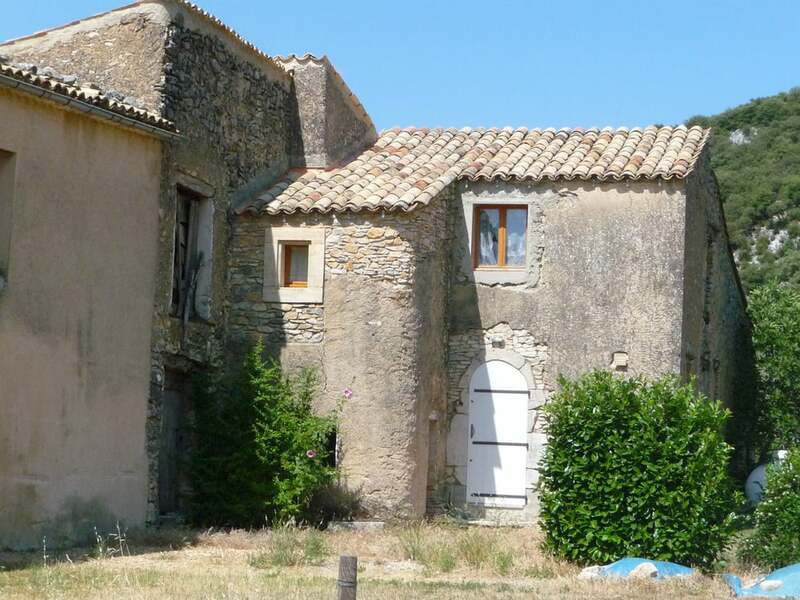 The village has magnificent features such as a Renaissance chateau and la Porte Sarrasine, from the times of the battles with the Sarrasins who tried unsuccessfully to conquer the region. There is a maze of tiny streets and 13th century houses inside Viens that are being patiently restored . Here, you can find Provence with its strong, authentic historical and independent character, associated with the warmth of the climate, the transparency of the pure and clear air, the attachment of its inhabitants to their village, hollyhocks in bloom, the community of farmers well grounded in their land, and an authentic French restaurant where we delight in traditional cuisine - not for the tourists, but for us and the people of the village . As in most hilltop villages no cars can be driven inside of Viens. This is one of our favorite villages and even though we cannot paint in every village that merits a visit because of time constraints, we never miss our traditional day in Viens. St. Trinit is a tiny village of 120 inhabitants or so. It does not seem to be of particular interest from the outside compared to the solid, mysterious, hilltop villages in the area. But, finally, after so many years. curiosity took us in for a visit. We found a treasure of painting subjects, in an open yet authentic patchwork of streets and old houses. The church is from the 12th century and neolithic tools have been found in the fields near by. Lavender is native to the Southern Alps, and different varieties grow wild throughout the region. 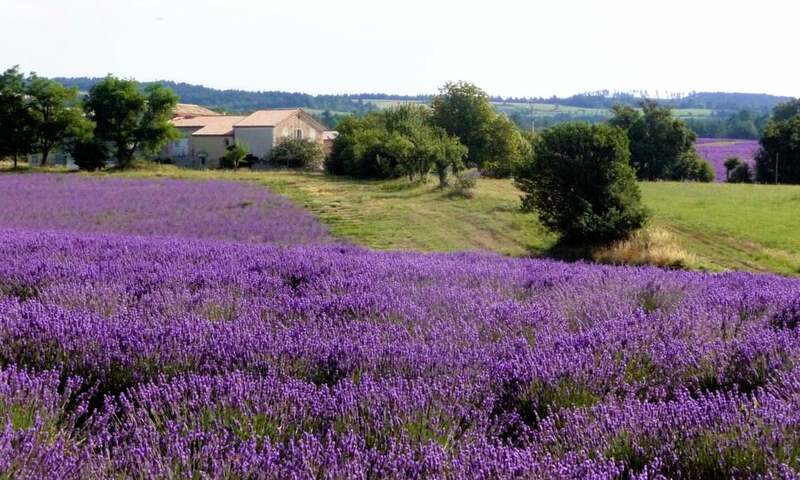 In the 16th century, the Provençal peasants produced lavender oil to heal wounds and expel intestinal worms. 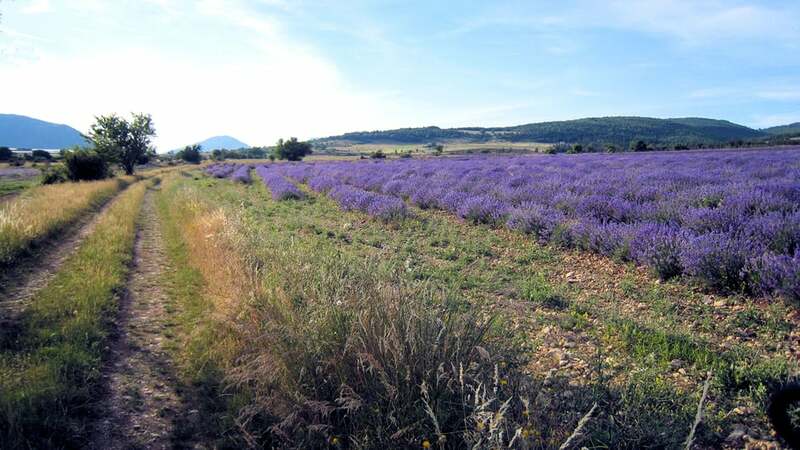 The true lavender (Lavendula angustifolia) that thrives in the chalky soils and hot, dry climate of higher altitudes of the Provence was picked systematically at the end of the 19th century. 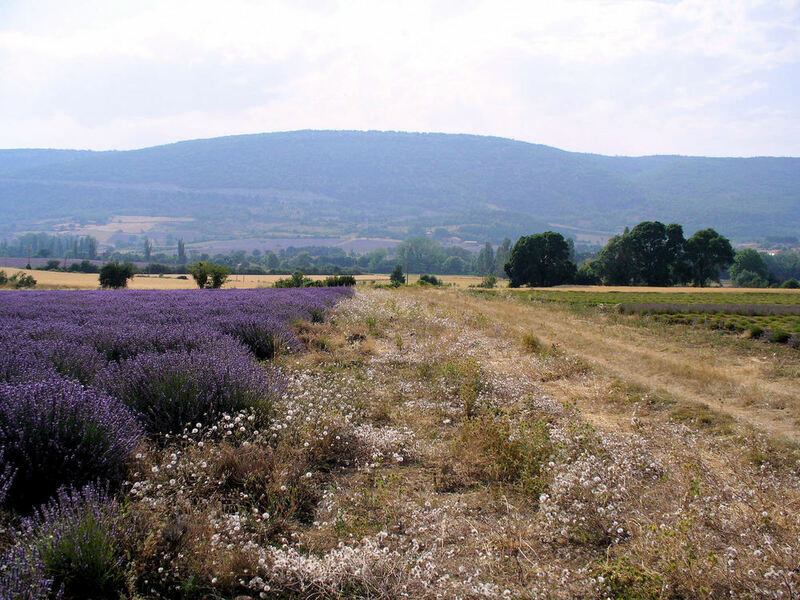 At the beginning of the 20th century, fields of lavender were first planted, at altitudes above 700 m. Since the true lavender grows best at over 700 m, and is sensitive to diseases, a hybrid, Lavandin, was developed for cultivation at lower altitudes with a higher content of turpenes to hold the fragrance longer. Flowers and leaf-stalks can be dried for perfuming bed-linen and to keep moths away from your clothes. Lavender essence is used commercially in the perfume, soap and pharmaceutical industries. Dried lavender is packaged in small cloth sacks and sold worldwide. Dried lavender is also used for cooking and for herbal cures. 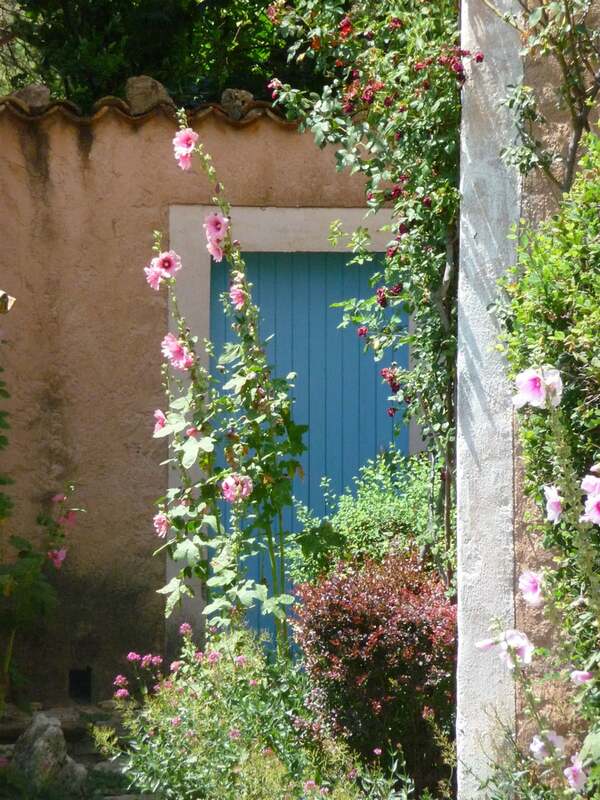 Close to Simiane la Rotonde is a hamlet of farmers with an old church and a few houses, surrounded by lavender fields and growing hollyhocks everywhere. It is a most charming village with kind people living there, that are so pleased that we come to paint their village!